CBO 2017 took place from 6 to 9 September this year in Fortaleza, Brazil. Approximately 3,000 doctors attended the congress that was organized by the Brazilian Council of Ophthalmology. 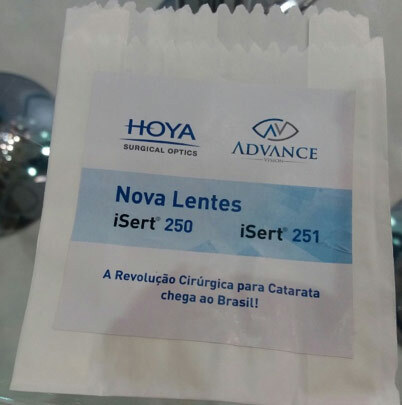 HOYA Surgical Optics was represented by our distributor in Brazil, Advance Vision, at the congress. More than 300 demonstrations were performed at our booth where we also collected personal contact information of the doctors. In an effort to attract visitors to our booth, we brought in a popcorn cart (as shown in the image below). Customized paper bag used to serve the popcorn. The most common feedback doctors had is that HOYA’s injector is by far, the safest and easiest to use in the market. From a survey that we had conducted, 60% of the doctors prefer clear over yellow lens. An implantation video was looped and played on the screen at the HSO booth. 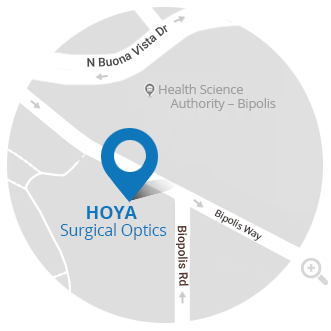 Several prominent cataract surgeons visited the HOYA booth. CBO 2017 was a good opportunity to launch our partnership with Advance Vision.